Yesterday, with temperatures over 35C the whole day and a great deal of the evening, there was no soul in the street or gardens. Staying home, with a fan, was the best way to pass the day with watching long British TV-series, like Pride and Prejudice with Colin Firth and Brideshead Revisited with Jeremy Irons. The last one is in eleven parts, the first 10 parts about 50m each and the last part, when Lord Marchmain (Sir Laurence Olivier) returns from Venice to Brideshead Castle to die, lasting 1h 20m. About an odd 10 hours of a delightful insight in English nobility at home, at college, in the very complicated famly relationships. And this all through the eyes of a “common” young man, Charles Ryder (Jeremy Irons). Below a quotation of an article by Dirk Musschoot, dated 26 June 2016. I was there a few weeks ago for the umpteenth time and I feel that I can keep returning. Castle Howard in Yorkshire is one of the most beautiful castles I know. 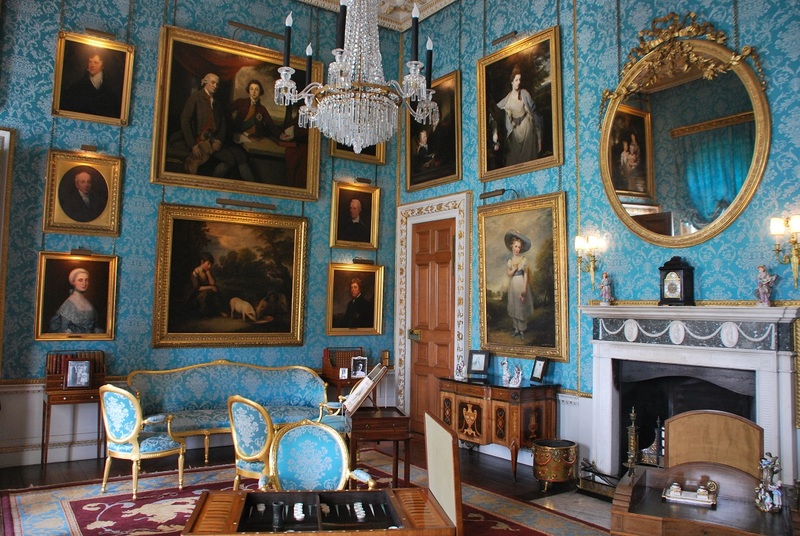 When Charles Howard, the third Earl of Carlisle, wanted a residence in 1699 on the edge of the North York Moors (about 30 km north of York), he called in the help of architect John Vanbrugh. 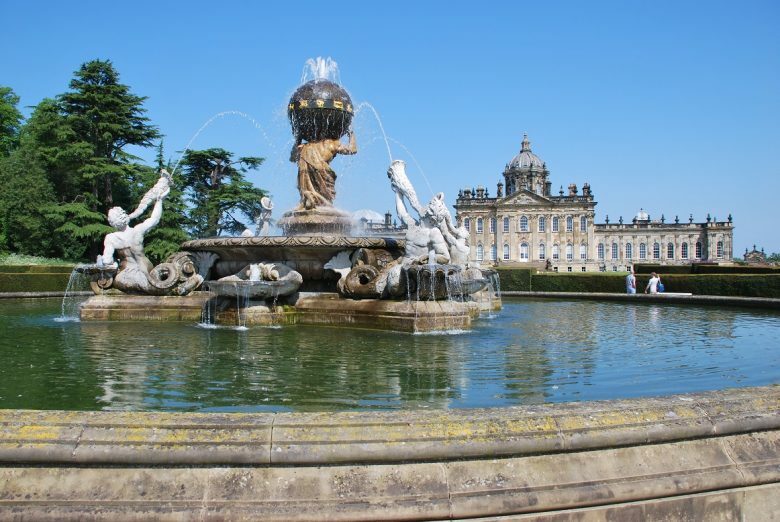 He designed Castle Howard, which is amazingly similar to another creation by Vanbrugh: Blenheim Palace, the birthplace of Winston Churchill near Woodstock in Oxfordshire. When writer and politician Horace Walpole visited Castle Howard in 1772, he wrote that it was one of the most beautiful places he had visited in his life. Castle Howard, which is still inhabited today by the Howard family, is still a landmark of size. Stately furnished rooms and halls, art to lick your thumbs and fingers, a heavenly chapel and an incredibly beautiful dome hall (destroyed by fire in 1940 and now completely restored). But perhaps Castle Howard is still the most impressive of the outside. The castle stands in a beautiful landscape garden with, among other things, a large Atlas fountain, here and there a folly, and a mausoleum where the members of the Howard family are buried. 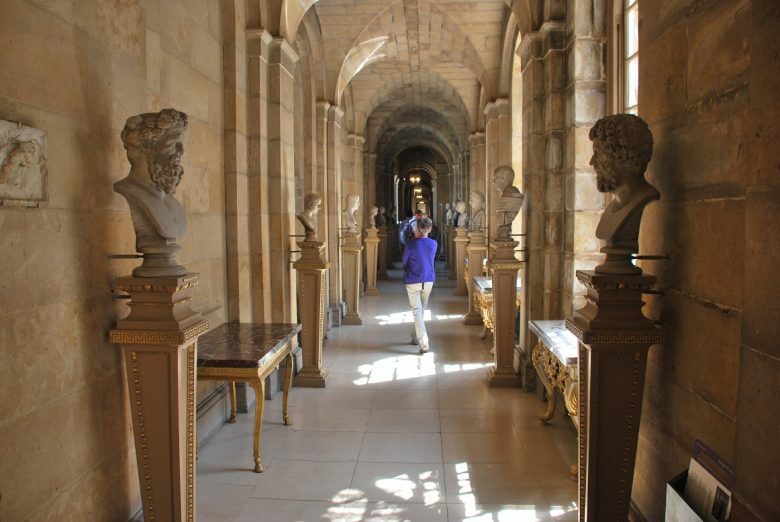 There is another reason why you should definitely visit Castle Howard. The castle became world-famous as the backdrop for the television series Brideshead Revisited, after the book by Evelyn Waugh from the same name. The TV series from 1981 with among others Jeremy Irons, Laurence Olivier and John Gielgud in the lead roles, has now reached cult status. In 2008, the film was also made into a cinema film (with, among others, Emma Thompson) and that was also shot at Castle Howard. In the castle an exhibition is devoted to both the TV series and the film. 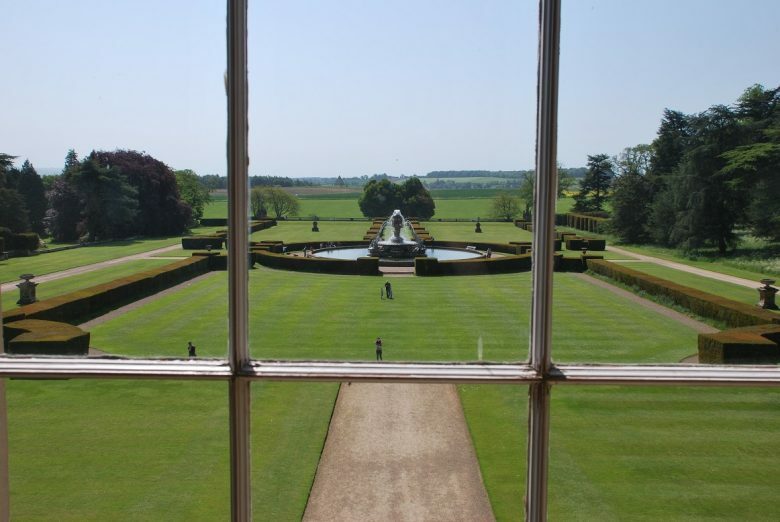 This entry was posted in Documentation and tagged Brideshead Revisited, Castle Howard. Bookmark the permalink.